If you’ve been playing Marvel’s Spider-Man since release, you may have noticed that Peter Parker loves to take phone calls while he’s flying through the city and throwing the beatdown on some street thugs. In the real world, someone would sound very different while standing still versus talking while performing the kind of acrobatic feats that your Friendly Neighborhood Spider-Man does. Insomniac took note of this and had Spider-Man’s voice actor, Yuri Lowenthal, record two sets of dialogue for the open world. One set of dialogue is “resting,” while the other is “exerted.” Through some clever programming, the game is able to dynamically switch between the two takes based on what the player is doing. Starting out a conversation normally while on the ground will play the resting take, but begin swinging through the city, and the track will change to exerted, making Peter Parker’s dialogue sound more natural depending on his actions. Marvel’s Spider-Man’s lead writer, Jon Paquette, confirmed the dual takes on Twitter. So for those of you wondering if we recorded #spidermanps4 open-world Spidey dialogue twice– yes, we did. One “resting” take, one “exerted” take. Programmers exposed a variable to Wwise allowing the game to switch between dialogue assets, depending on the player state. Insomniac’s Audio Designer Alex Previty confirmed that the switch can happen mid-conversation on a line-by-line basis. The team tried to get it working in the middle of lines, but it proved difficult to make it sound natural. 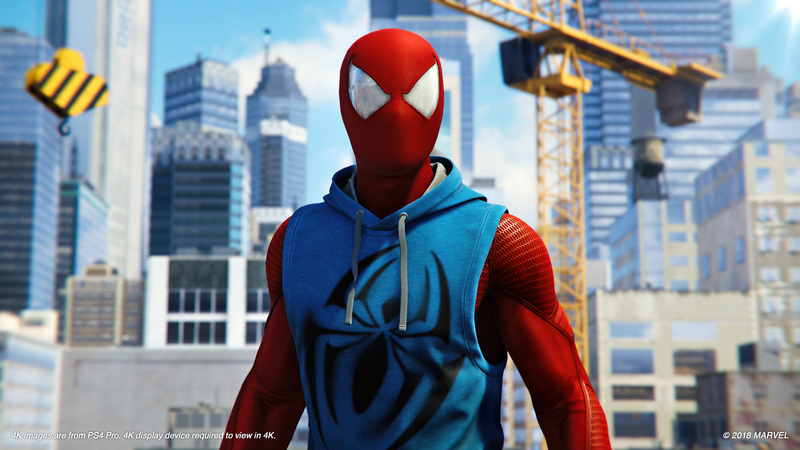 The dynamic switching of takes is just one of many little audio features found in Marvel’s Spider-Man dialogue. Similar to this year’s God of War boat scenes, if Spidey gets interrupted while talking, he naturally restarts the conversation, or makes some comment about the interruption. He might say “Sorry Mary Jane, you were telling me about the story you are working on?” or “I should finish that voicemail,” as the game transitions back into the narrative dialogue that moves the story forward. These little bits of polish are just some of the many reasons we loved Marvel’s Spider-Man, as they make the game feel more natural and relatable. You can read about all of the other things we loved in our review. Did you notice the different audio takes? What other tiny little details are you finding in Marvel’s Spider-Man?